SIRIN LABS, the creator of FINNEY blockchain smartphone, has announced its partnership with Virgin Gates ahead of the launch of FINNEY on November 29. Headquartered in Egypt, Virgin Gates is a technology company backed by a well-established group of investors from Egypt and the Middle East. 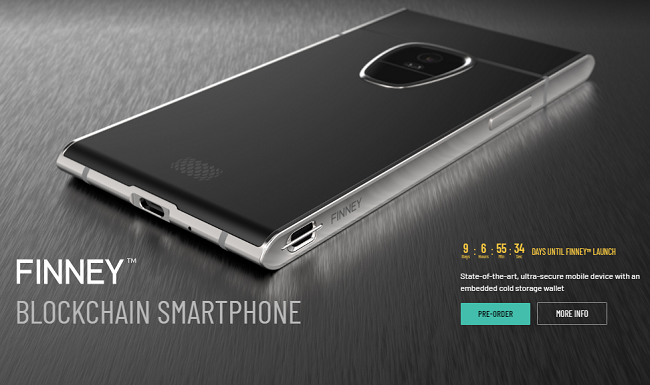 The partnership will help bring FINNEY blockchain smartphone to the masses in Egypt, UAE, Saudi Arabia, Bahrain, Oman, and Kuwait. As part of this alliance, SIRIN LABS said it will open a concept store in Dubai. “The launch of FINNEY in Dubai is of particular significance since it aligns with the strategic vision of the UAE government to enable the mainstream adoption of their new digital cryptocurrencies by 2020. Through this cryptocurrency, residents are expected to have the means to make payments for everything from school fees, utility bills and retail purchases,” SIRIN LABS said in an online post. In the past couple of weeks, SIRIN Labs has partnered with a number of firms including Scanetchain, an AR Dapp based on NEM platform; the Portion Platform; LLC Legio to bring the FINNEY blockchain smartphone to the masses in Ukraine; and most recently Coinduck, a subsidiary of Chain Partners, to enable Ethereum payments at 1,000 stores in South Korea via FINNEY. In addition, SIRIN LABS announced that CoinMarketCap is now reflecting a more accurate number of SRN tokens, currently among the top 100 cryptocurrencies by market cap, in circulation. “Due to the significant increase in the expected demand of SRN tokens leading up to FINNEY™’s commercial launch on December 15th, we are incredibly happy to see that CoinMarketCap has increased our circulation supply to more accurately reflect the real number of tokens in circulation,” it added.